GS Trophy 2014 sets off tomorrow in the Canadian Rockies! Tomorrow (7 September) at 7am MDT the BMW Motorrad International GS Trophy North America 2014 event will start near Exshaw AB or Sandon BC and cover a 2,000km route through the Canadian Rockies. The GS Trophy event has taken place every two years since 2008 and includes 48 participants from around the world who passed several qualifying rounds. 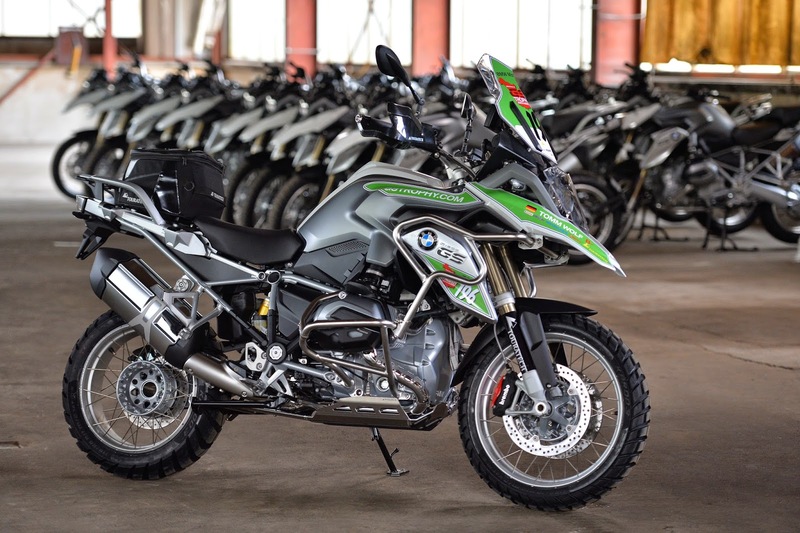 Previously the event included several models from the GS range but 2014 marks the first time the event will take place solely on identical R1200GS models, specially equipped by sponsors Touratech (bike protection, lights etc), Metzeler (tyres) and Marmot (camping equipment). The bikes include decals with the names of the riders, their blood types and their countries of origin. The marshals will use R1200GS Adventure models. Best of luck to the participants—come on team UK!! I’ve got two years to prepare for the next one in 2016... better get on with it! BMW press releases follow the photos. BMW Motorrad International GS Trophy North America 2014: Ready, set—go! Munich/Calgary, Canada. After two years of planning, after qualifying events around the world attended by riders from 19 countries, the BMW Motorrad GS Trophy 2014 is at last established in Exshaw near Calgary—ready to go! Now all that is missing is the riders, all due to arrive within the next 24 hours. 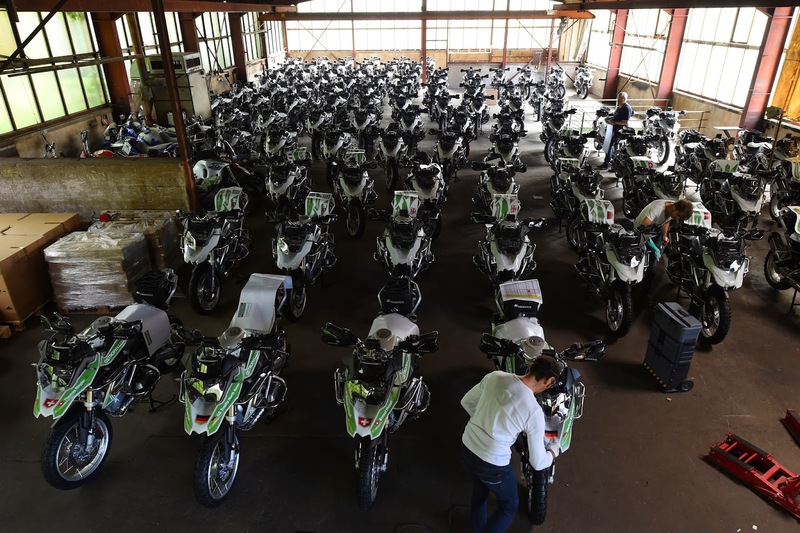 Freed from their five 40-foot shipping containers are the 80 BMW R 1200 GS, and 12 BMW R 1200 GS Adventure motorcycles, now fully prepared for the start. In total 92 motorcycles and 15 cars will travel over the 2000 kilometer route with over 100 people, including the 48 competitors, 16 team journalists, two doctors, mechanics and organisational staff. Michael Trammer, chief organiser of the BMW Motorrad GS Trophy: “We are nearing the start for the 2014 BMW Motorrad GS Trophy—on Sunday 7 September, barely more than a day from now, 16 teams will set off on what is the longest GS Trophy ever, the most technical ever, in the most mountainous region we’ve ever visited. The riders will ride into true wilderness areas, riding tough trails through extremes of temperature, over long days. This is definitely a very adventurous GS Trophy, one that truly embraces the GS spirit. The BMW Motorrad International GS Trophy North America 2014 will get underway at 07.00 hrs (Canadian local time) on Sunday 7 September 2014. BMW Motorrad International GS Trophy North America 2014—live and interactive. Media sources and photo contest. Munich. The North America 2014 edition of the international BMW Motorrad GS Trophy is now just days away. The 48 finalists, riding in 16 international teams, have been issued their BMW GS-specific rider equipment, including their BMW Rallye 3 suits—customized with their names, national flags and GS Trophy 2014 insignia. 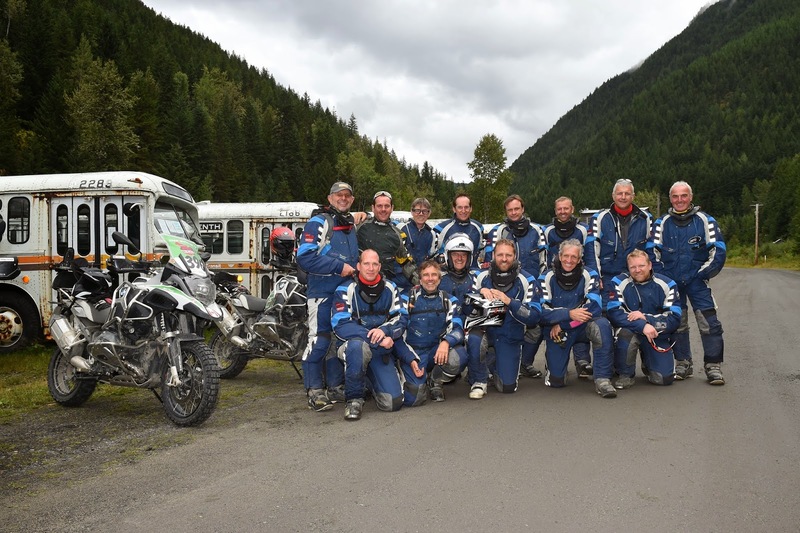 Representing nearly every continent, the riders are making their final preparations for a week of adventure riding, special tests and teamwork challenges in the amazing Rocky Mountains regions of western Canada. For those not lucky enough to be competing, BMW Motorrad has devised a full range of multi-media coverage of the event so that GS fans from all over the world will be able to read about, watch and even participate (through a photographic competition) in the event. An interactive photo competition was debuted in the 2010 event and proved so popular, that it has become a permanent fixture of the event. So, on days two and four of the GS Trophy 2014 the teams themselves will be photographing all aspects of their adventure. The subject matter for the competition is entirely open, it might be an action shot of team-mates, or a spectacular landscape, maybe a unique aspect of local life. Each team will then submit their best photo at the end of both days, to be posted on the GS Trophy website (www.gstrophy.com) where fans will be invited to vote for their favourite. As before, the photos are posted without credit—so the fans will vote for the best photo, not their favourite team – but as in previous years we can expect the teams to reveal their identities one way or another...! The teams will then be awarded points toward their overall competition score in accordance with their performance in the votes. Journalists and media organizations are invited to follow the GS Trophy 2014 and to find free access to GS Trophy resources—which during the event will be updated daily with news stories, photos and videos—through the dedicated BMW Group Press Club facility which can be found at www.press.bmwgroup.com. Welcome to the BMW Motorrad International GS Trophy North America 2014. Adventure and competition in the Canadian Rockies. Munich. 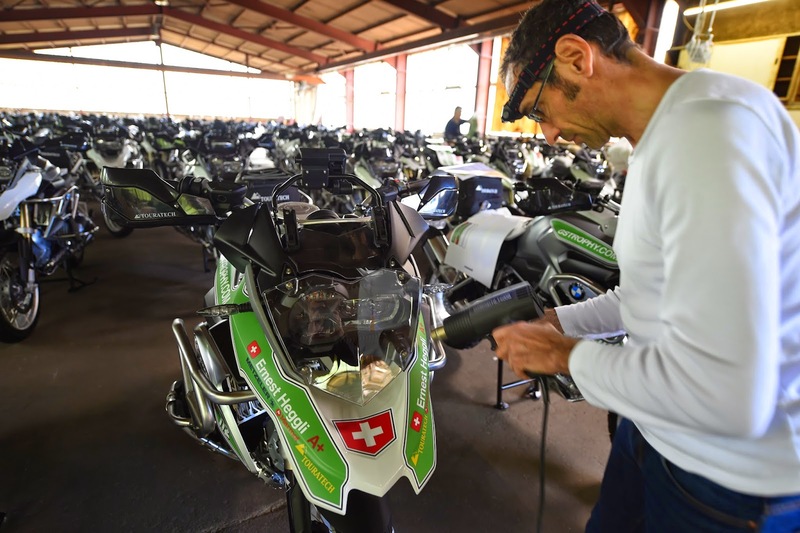 With barely a month to the start of the fourth BMW Motorrad International GS Trophy, the North America 2014 edition, the preparations of the organizers and the competitors are nearing completion. Following the tracks and trails of the Rocky Mountains in the Canadian provinces of British Columbia and Alberta, 48 riders in 16 teams representing 19 nations from around the world—together with 16 embedded journalists—will compete in a week of adventure riding, special tests and teamwork challenges. Starting September 6, it’s a week that will also be about experiencing the breathtaking landscapes of this mountainous region, connecting with the natural world and even celebrating international brotherhood while enjoying the ride on this icon of adventure motorcycling, the BMW R 1200 GS. The GS Trophy competitors instead enjoy a seven-day near-2000km adventure ride, mostly ridden off-road. Along the way they compete in a series of challenges that are consistent with the BMW GS lifestyle and designed to exercise their riding and navigation skills, their knowledge of, and ability to live in, the natural world—and their ability to come together as a team. The North America 2014 event follows previous editions that took place in Tunisia in 2008, Southern Africa in 2010 and South America in 2012. For this edition the GS Trophy welcomes for the first time competitors from Korea and Mexico. The full list of the finalists will appear in a further press document. The competitors will ride a fleet of identical specially-prepared 2014 BMW R 1200 GS motorcycles. This is the first time the GS Trophy has been exclusively powered by the R 1200 GS and with motorcycles for the riders, and journalists there will be 80 ‘water boxers’ following the trails through the Rockies. 12 more for the marshals. But they will ride an R 1200 GS Adventure. While the BMW R 1200 GS is made for world travel, the rigours and challenges of the extreme competition environment of the GS Trophy calls for special adaptations, using additional parts and accessories from BMW Motorrad and Touratech.